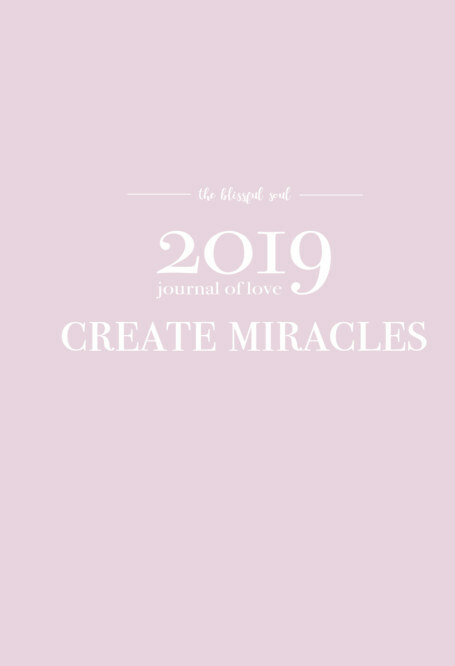 Create your dream life and live with intention in a new year, with ‘The Blissful Soul’ 2019 Journal of Love by Jasmine Lipska. Filled with personally designed pages to guide you to growth and achievement, this journal is created to inspire you to stay organised, dive deeper within yourself, and reach your highest potential. Focused on self-love and development, the Journal of Love includes goal setting, powerful quotes, reflections, moon phases, monthly finances, habit trackers, lists and more, to guide you on the path of manifesting your dreams into a reality. The best way to create your desired reality, to learn, to move forward, and become the best version of yourself, is by reflecting on your past experiences. 2018 has been a year of waking up to our consciousness and deep self-growth for many, and the past is always a tool we can use to bring what we have learned into the present moment. By using this 2018 reflections journal created with love, you will get to dive deep into the greatest lessons the universe presented to you in this year, cultivate more clarity into why things happened, understand yourself more, and apply the wisdom you gained into the new year of 2019, so you can continue to manifest love, joy, and the life that you desire. When you order your copy of the 2019 Journal of Love, send your receipt over to jasminelipska@gmail.com, and I will send you the 2018 Reflections Journal PDF. As simple as that! The online, PDF version of the 2019 Journal of Love is available now, which you can download with ease and customise to personally print for yourself.